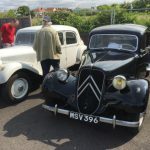 The Citroën Traction was a revolutionary car in its day and various of the features present in this innovative motor, are still to be found in modern cars today. As a Classic Car purchase it is an excellent choice, and provides a roomy, comfortable and stylish car which is still viable for modern road use, with excellent handling and road manners. This document aims to give the prospective buyer an idea of what is involved both in buying and living with a Citroën Traction. Prior to attempting a purchase, you really should, of course, consider joining the Traction Owners Club, the only UK organisation technically supporting this Citroën model and within whose membership exists an unparalleled knowledge of this car within Great Britain. 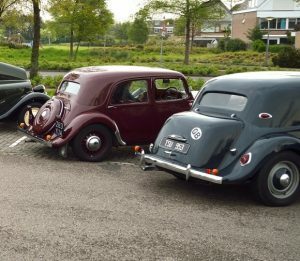 The club offers a full technical advice service, and a comprehensive spares department, as well as organising and participating in Citroën Traction related events up and down the country and internationally. The website also has a forum available to members which offers a rich variety of technical and other related information and if you contact TOC, then we may well be able to find a local member who could accompany you to view a prospective purchase, as well as showing you around their own car in order to familiarise yourself. The club also is able to loan to members, free of cost but subject to a returnable deposit, the specialist tools that are necessary for the carrying out of more advanced work on the cars. If this is to be your first Traction, then there is obviously a lot of advantage in taking someone along with you who is already familiar with the model and you should be prepared to get down and dirty and have a good look at the underbody and other oily bits. Many of the things that you will be looking out for will be common to most Classic Car purchases, and this guide does not exhaustively cover every aspect of buying an old car. It is assumed that the potential Traction buyer will be familiar with most of the wider fundamentals of old car purchase. What it does aim to do is to cover in more detail those aspects of the Traction which are specific to the marque and also to dispel a few myths about the car as it goes along. 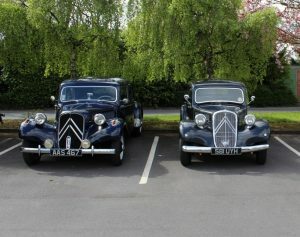 Citroën Tractions were first built in in 1934 and production continued until 1957 . Most survivors will be in the two principle saloon car styles, the Normale and the Legere, or their Slough built RHD equivalents, the Big 15 and the Light 15, these being built in the UK, and mainly finding their way into Commonwealth countries such as South Africa, Australia, etc. A further permutation is the 15/ 6, of which there are some survivors and which replaced the standard 4 cylinder engine spec with an inline six, and a yet rarer derivative, the 15H Hydraulique, which has the hydro pneumatic rear suspension similar to that found in the later DS. These latter cars are in Normale form, are relatively uncommon and command a high premium over standard 4 cylinder models. There are then long wheelbase Commerciales (with an opening rear tailgate), and Familiale 9 seaters, with three rows of seats. Again survivors are not numerous. The chart below gives an indication of the principle models likely to be encountered. Two door coupe variants and two door roadsters are rare and very expensive. Some care is needed if one is offered, since they can actually be converted saloons with their origins in the Far East. The body style that most buyers will be looking at is a four-door saloon fitted with a 1.9-litre engine in four-cylinder form, (early cars had smaller capacity engines, but again, survivors are quite rare) The Legere or Light 15 is a medium sized four seat motor car, relatively low slung compared to most 1930’s cars. The Normale is a slightly longer wheelbase version of the same car, with most of the additional length in the rear seat area. It also has a slightly wider track and cabin. This does make a significant difference to internal passenger space and also engine accessibility is improved over the smaller models. Small Boot and Big Boot! Later versions of both cars, post 1952, also have a larger boot enclosing the spare wheel. 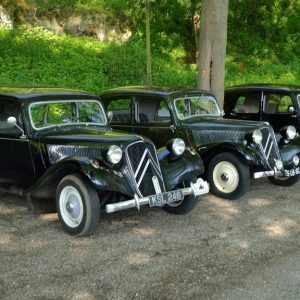 The Traction Avant was known as the 7CV, 11CV and 15CV in France as well as receiving different names in England with the 11CV renamed the 15HP and 15CV called the ‘Big Six’ (this model having the 6 cylinder engine). Generally, but not exclusively, Right-hand drive models were built in Slough with Left-hand drive cars being built in France and Belgium. Small booted cars (Malle Plate) are more sought after than the post July 1952 Big Boot (Malle Bombe) cars and command slightly higher prices. Slough built cars also have chrome grilles and headlight bowls and the distinctive double chevron on the front is usually behind the grille mesh. Like many French cars the Traction is a quirky machine, with some (in its day) unconventional engineering and has an undeserved reputation in some quarters for being difficult to drive and maintain. Get behind the wheel and you will find that the car is a very attractive, practical and enjoyable drive. Interior space is good, especially in the Normale versions, with bags of head and legroom. Boot space is also reasonable in both large and small boot versions, although actual available luggage space is only slightly greater in the large boot variants. If you need more carrying capacity, a period roof rack completes the look. On the move, the car handles very well, a combination of front wheel drive, torsion bar suspension, and a relatively low centre of gravity resulting from the lack of a hefty chassis, means that excessive body roll on corners is largely absent and the supple ride, aided by the standard Michelin radial tyres, gives smooth progress. Well sprung seats when in decent condition, add to the comfort. Performance is not in the sporting class, but the more numerous 1911cc cars will keep up in modern traffic and on cross country drives the handling helps to keep average speeds up. Earlier cars do have smaller engines and may not be as lively. Engines are flexible and gearing is relatively low, all cars have three speed boxes as standard . The dash mounted change is good, although it looks bizarre when first encountered. Take gear changes in reasonably leisurely fashion and the synchro on second and top should cope nicely. Final gearing can be low, especially on long wheelbase examples. 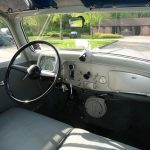 Brakes are drum all around, and don’t quite have the grab of a modern car, but as with all older classics, one of the attractions is that you do need to drive this sort of car and a little advance anticipation will keep you out of trouble. Having said that, it is possible to do a very passable emergency stop if your leg muscles are in reasonable condition. Heating is a little crude, in the form of a hot air duct from the radiator, rather after the fashion of a VW beetle, again many cars are upgraded with a Smiths type heater tapped off the cooling system. Ventilation is via an opening windscreen and scuttle vent. There are several Traction specialists in the country who will offer repair and restoration services. Day to day servicing is however, quite a viable DIY proposition, although some specialist tools are required (available on loan from the club) when more advanced work is envisaged such as brake relining, etc. 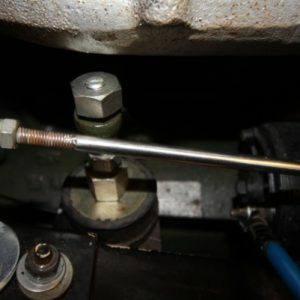 Oil changes need to be frequent because no filter is provided and as with most cars of this vintage, there are numerous greasing points around the car. Most of the checks that you would apply to a prospective purchase are common sense and typical of all unitary built steel bodied cars. Unless your primary aim is a project, always try to buy the best condition car you can find in your price bracket as renovation costs can quickly add up. 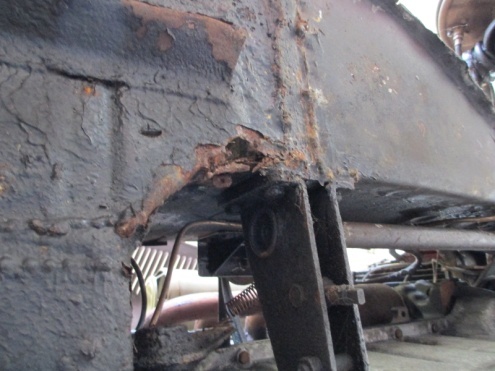 Bodywork and Rust: The traction was unusual in its era, in that it has a genuine monocoque shell. Like most such cars, much of the longitudinal strength is in the sills, and the floor is a flat steel pan stiffened with vee section ribs. 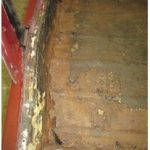 The sills are in three parts, outer and inner with strengtheners between, corrosion on the outer sill can be a sign of hidden rust on the inside and cosmetic patching may conceal issues. This is first place to check for corrosion, along with the bottom of the ‘C’ pillars behind the rear doors. The rear suspension legs mount onto the rear of the inner sills – any weakness here can cause rear axle movement. If the monocoque is weakened, the car will also sink ahead of the windscreen ‘A’ pillar, as the engine subframe gradually pulls away. 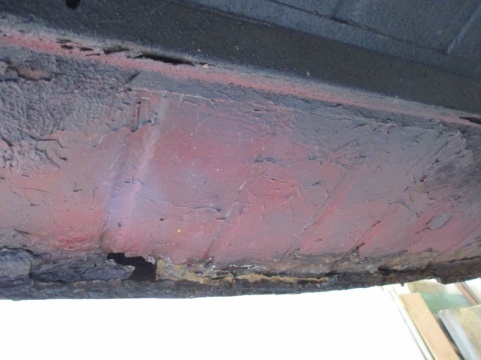 UK cars tend to suffer more from rust, not only due to our climate, but also due to the presence of trafficator slots in the B pillars and, when fitted with sliding roofs, the failure of the drain tubes. Citroën did not see fit to insert sill drain holes into the main body shell of any of its Tractions!!. Many exported to South Africa and Australia and have since been brought back to the UK, and so have survived better in the drier climate. As an early job it is recommended that you inject some cavity wax into these areas! 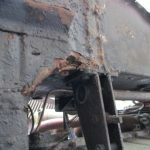 The ‘Jambonneaux’ (front sill extensions forward of the bulkhead) should be carefully inspected for damage. Stress cracks on the floor at the back of the engine bay are not uncommon. However, distortion in the bulkhead above the side arms may point to front-end accident damage. Floor-pans are susceptible to rotting, which can be exacerbated by blocked sunroof drainage holes on Slough-built cars and a poor seal on the scuttle vent in front of the windscreen which often allows water in. 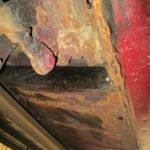 Cars that have been stored outside long term will therefore possibly have rot in the front floor, since they will have leaked rainwater. 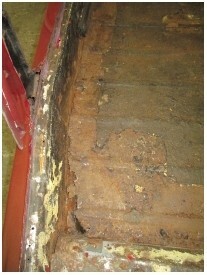 Lift up the carpets and see what condition the metalwork is in. Long-wheelbase cars like the ‘Commerciale’ and ‘Familiale’ flex much more than the short-wheelbase cars and ripples in the panels behind the rear door can be a sign of this. Ideally, door gaps need to be even on all four doors and they should open and close with no problems. Bottom edges of doors and boot-lids can rot, as can the boot floor if the drain holes become blocked. Citroen only fitted a basic rubber strip at the lower edge of the door glass to try and stop water entering the door interiors and it is worth adding a door membrane inside the trim panels and making sure that drain holes are clear to ensure that rainwater is thrown back into the door and out again. The tail end of the front wings have a small double skinned area which is a mud trap and can rot. Stone guards may hide rust. 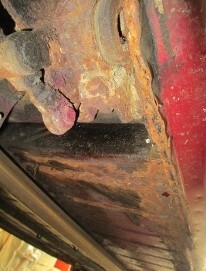 Corrosion sometimes takes hold in the seams between the bodywork and wings – watch out for bubbling paint and rust streaks. Slough cars will often have a sunroof fitted, although this is rare on French and Belgium built cars. However when all of the cars were constructed there was a panel let into the roof and that joint may be visible. 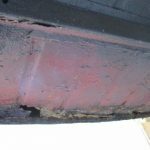 This is not a blocked in sunroof and many cars that have been restored over the years may will have had the joint smoothed out. Wings, bonnet and boot panels and doors all bolt on. Body repair sections for areas such as floor pans and door skins are readily available, but replacement wings are expensive and some cars may be fitted with GRP replicas. Engine: Four-cylinder engines using wet-liner construction and are reliable being slow revving and long stroke by modern standards. Crankshaft bearings and big ends in the original ‘Perfo’ engine were ‘white metalled’ direct into the con rod, a technique that is expensive to replicate now. Some cars have been changed during rebuilds to shell bearings and upgraded con rods from newer 11D engines. Maintenance: The oil must be changed every 1,500 miles to ensure longevity as engines were built with no oil filtration system. Ask about the frequency of oil changes. Timing chain rattle is fairly common and nothing to worry about, as a tensioner was not fitted as standard. This is just as well, since replacement of the chain is an engine out operation, this being at the rear, by the bulkhead. A tensioner kit is now available. Cars will have Zenith or Solex downdraft carburettors fitted which are relatively straightforward. As with most older carburettors, over time the intake float may leak and need replacing and butterfly spindles can wear. I also experience occasional sticking of the float /needle valve. This may be a modern fuel issue. A sharp tap on the float chamber prior to start up usually cures this. The six-cylinder cars are also tough, but are higher maintenance and are more prone to overheating. A rattle while starting could be due to the starter ring gear being loose. Rattling while at idle is likely to be due to a loose crankshaft damper – this needs to be fixed before any damage is done. Cylinder heads are also more prone to warping than those on the smaller 4 cylinder engines. Engine mountings on 4 cylinder cars, which are volute springs, can become sloppy and allow excessive movement, which can be a source of clutch judder and may cause the large rear rubber block mount which sits in a bulkhead recess, to thump alarmingly against the bulkhead on overrun. The mounts are relatively easy to replace and new springs are available. 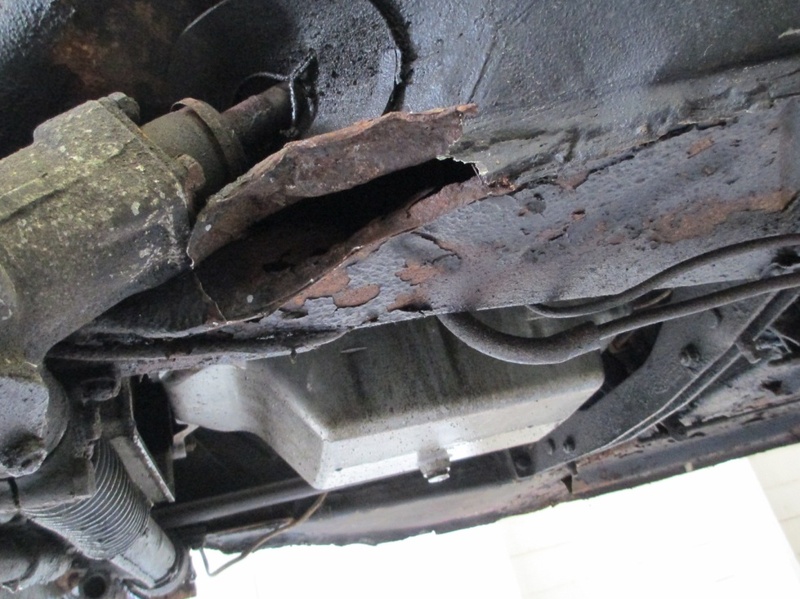 Some cars are modified with metallastic engine mounts and discard the rear block, although opinions are divided on the benefits of this. My own car has this modification and is much better for it, in my view. Parts are readily available from TOC spares and various European suppliers. On all engines, a smoky exhaust can be a sign of bore wear, but may also be sticking piston rings, if the car has been laid up for a long time. Electrics: English built cars have 12 volt Lucas Electrics powered by a Lucas dynamo. French cars came from the factory with 6 volt SEV Marchal / Ducellier electrical systems, again powered by a dynamo. Many French cars have been converted to 12v and upgraded to use alternators instead of dynamos for their higher output. This gives starting advantages and enables the use of auxiliary equipment such as additional lights, radios, etc. A 6 volt car in good condition with sound earths, good power and battery leads, etc. is viable, but some cars are also adapted with an auxiliary 12 volt battery to aid cold starting. Running Gear: Jumping out of gear may be a fault, but can also be an adjustment that is required to the gearchange/clutch lock. Non-functioning synchromesh on second and top indicates internal gearbox wear, however, in common with most synchromesh of the period, it will not enable fast gear changes, so a leisurely shift should provide a silent change. If the unit is noisy or rough , then it could be a tooth having chipped or even detached from the crown wheel – this can potentially do serious damage. 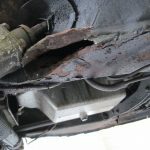 Some oil drips are probably inevitable, but excessive oil leakage should be viewed with suspicion as a car that has been regularly bump started may crack its gearbox casing. Water pumps are mounted directly above the car’s bell housing where it joins the crankcase. Any leaks can lead to water running down into the bell housing and seizing the clutch / damaging the clutch release bearing. Release bearings tend to be a little noisy when the pedal is depressed. It is worth upgrading to a modern diaphragm type clutch when replacement becomes necessary. You may also come across a car that has a 4 speed conversion using a gearbox from a later DS. This is obviously a non standard modification, needs a little local re-engineering and so the quality of the conversion work should be taken into account. Drive shafts may click on full lock if worn. Gripping the shafts and trying to twist them will reveal any excess wear. Some cars will have been fitted with modern CV jointed drive shafts. These tend to wear less, and many claim that they improve the driving experience, although I have not noticed any substantial difference. There are multiple grease points on front transmission and suspension/steering, which need repeated attention. Suspension: The Traction Avant has Torsion Bar Suspension all around and the ‘Silentblocs’ are metal sleeves bonded to rubber bushes. The condition of the front bushes can be seen fairly easily under the front wings. The rear ones cannot be checked just by looking, but assume if the front look to be in poor condition then the rears may not be good either. Shock absorbers are visible and easy to change if worn or leaking. Changing the silent blocks is a major operation and requires a substantial press. If the silent blocks are in poor condition, then a significant discount should be negotiated. Brakes: All the usual checks here. Look for signs of brake fluid leaks on the outside of the brake backplates, on the rear face of the tyres and a spongy pedal. Also excessive travel. The brakes are generally adequate for the car’s performance. 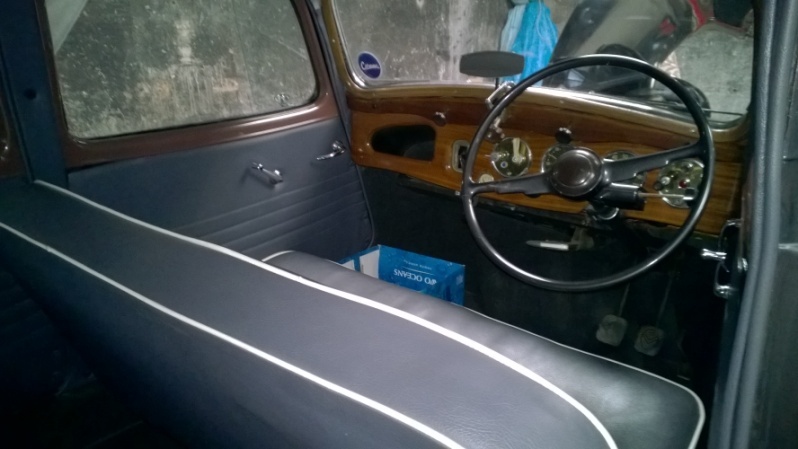 Interiors: Slough cars have, in the main, leather seats, French cars are cloth, pattern and type varying according to age and model. Head linings are usually suspended cloth although mine is a perforated vinyl which is almost certainly not original. Upholstery kits are available for refurbishments, but as with all such things, are not cheap. 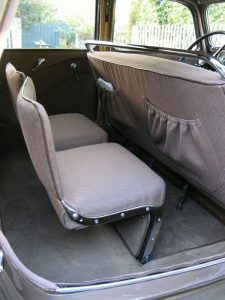 Most cars have individual front seats but some have benches as an alternative. Slough models also have wooden dashes, apart from the economy version of the 12 built in 1939/40. Slough instrument styles vary, from square, distinctly Art Deco to standard circular instrumentation. Many cars will have additional non standard instruments fitted including oil pressure and temperature gauges. Look out for headliner staining from leaks, and general wear and tear. Parts: The club operates a comprehensive parts service and there are also various European suppliers in France and Belgium (see Traction Owners Club Website) . Body repair panels and most mechanical components are readily available. Prices for components are comparable with other classic cars, although when buying from Europe, bear in mind courier costs, which can be steep. Electrical components for Slough built cars can sometimes be sourced more cheaply, often being standard components from manufacturers such as Lucas, but some RHD specific items may be more expensive and slightly harder to source, although the club has no evidence that this currently represents a serious problem. Possible Adaptations:The Traction is a great drive in standard spec, but members sometimes carry out the following modifications to update the experience slightly. 6v to 12v conversions with alternator. Modern CV joints to FWD setup. Tractions have been more extensively modified, there are V8 examples out there, at least one diesel and we are aware of conversions to use Renault 16 engine/auto transmission combinations and an electric version. 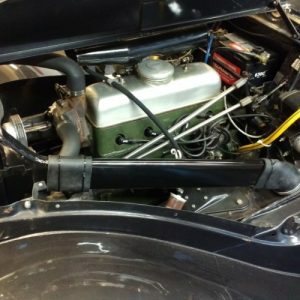 Some cars may have DS engine and four speed gearbox conversions, and although desirable, the quality and source of the conversion needs to be understood. Cars do appear in Auctions and at Dealers, but the latter will tend to be top price examples and the dealer may well not be terribly knowledgeable about the car type and may genuinely not know whether it is in decent shape or not. However, a purchase from a dealer should give some enhancement in consumer rights, may provide some kind of warranty, and it is worth balancing that against any price premiums. The Car & Classic web site www.carandclassic.co.uk often has a good selection of both trade and private sales, in the UK and Europe. If buying in Europe, then Les Anciennes (www.lesanciennes.com), and Leboncoin, both French websites, are well worth perusal. Values of the more common models have not moved a great deal in recent years and UK prices can vary from around £6000 for a car that is usable, but needs some work, up to £12,000 for a really nice example. Small boot cars command slightly higher prices. Six cylinder cars are more expensive and can fetch prices in the high twenties for a nice example. French examples can be bought more cheaply (in France) , but factor in transport costs and possible import and registration hassles. This is a terrific car, far from a commonplace sight on British roads. Drive one and you will be hooked. Don’t be put off by exaggerated horror stories about complexity, fragile drive trains, etc. A well sorted Traction is quite a viable long distance car, and as can be seen from the annals of the club magazine, many are used to tour the Continent and clock up considerable mileages doing so. Being realistic, you will be very lucky to find a perfect car, the youngest are sixty years old now. The trick is to find the car with least potential issues at the best and most truly representative price. Provenance and history is desirable, but in my experience tends to be patchy on cars of this age, although there are cars about that have been in families for twenty or thirty years that sometimes come onto the market. Finding a few issues may not preclude the car, but the price should reflect that, if say, the engine is tired, or the car needs some cosmetic work. 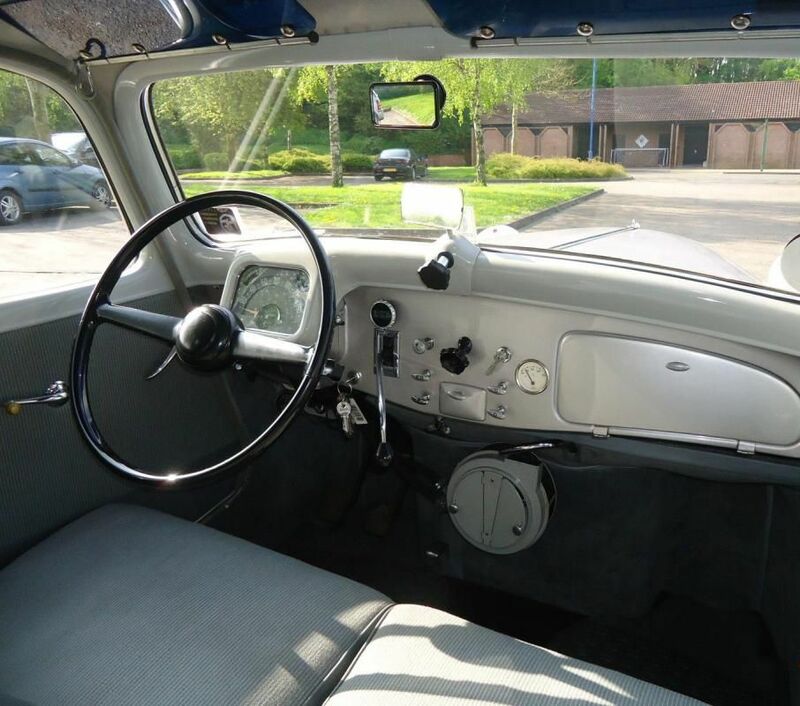 Dry country imports are always worth a look because of reduced corrosion issues, although interiors, if original, can take a hammering from UV damage. 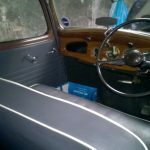 Interior refurbishment can be as expensive as bodywork restoration of course, and again the cost should reflect the condition and work needed. Citroën Traction Avant, by Jon Pressnel is worth getting hold of and provides additional buying information as well as a detailed history.